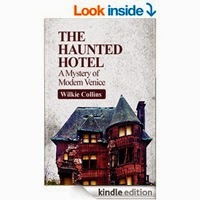 The ghost of Lord Montberry haunts the Palace Hotel in Venice - or does it? Montberry's beautiful-yet-terrifying wife, the Countess Narona, and her erstwhile brother are the centre of the terror that fills the Palace Hotel. Are their malefactions at the root of the haunting -- or is there something darker, something much more unknowable at work?